The luxurious apartment is in walking distance from the Savelovsky shopping center and Butyrsky market. There are many cafes and restaurants nearby - check one of them! 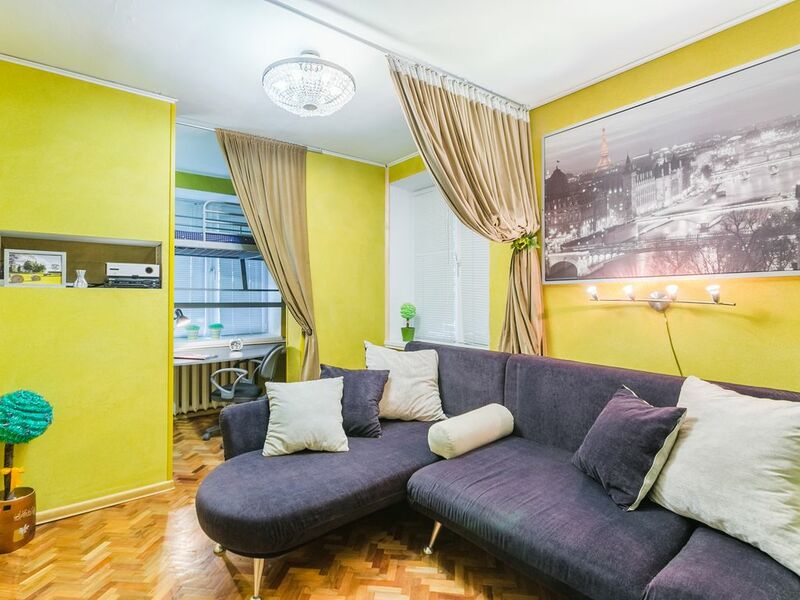 One-room apartments are located next to the Petrovsky park, the Tennis Palace, the Dynamo sports complex, cinemas, the Garage Center for Contemporary Culture and the Formula of Cinema. We invite you to an apartment located in a quiet area near the center. In walking distance: Savelovsky Railway Station, Dmitrovskoe metro station in 12 minutes walk, Savelovskoye metro station - in 9 minutes, and in 2 months a new branch will open - Maslivka metro station, 5 minutes from your house. The apartment has a comfortable layout, the interior is decorated in warm colors, the furnished spacious kitchen is equipped with necessary appliances. You can stop by today. Call us! , . : / , . 12 , . 9 , 2 5 .